RENO, Nev., January 26, 2019 – Reno child abuse pediatrician Dr. Kristen Macleod received the Silver Thistle Award Saturday (Jan. 26) and was named the 2019 “Scot of the Year” by the Nevada Society of Scottish Clans (NSSC) at its 38th annual Robert Burns Celebration at the Grand Sierra Resort in Reno with nearly 500 in attendance. Nevada Society of Scottish Clans Past Chief Lowell Patton made the presentation to Macleod for her involvement in the care of abused and neglected children in Northern Nevada. The Nevada Society of Scottish Clans annually presents the Silver Thistle Award to recognize Americans of Scottish ancestry as the “Scot of the Year” for their outstanding service and significant contributions to the people and communities of Northern Nevada or Northeast California. Dr. Macleod is the medical director of the Washoe County CARES Program that examines, treats and provides resources for children and families who are victims of child and sexual abuse. Through other programs, Dr. Macleod also provides child abuse consultation for suspected physical abuse and neglect cases in the rural area of Northern Nevada, while working in general pediatric medicine in Reno with Dr. Robin White. Her background in using telemedicine to assist in child sexual assault exams in rural areas led to her work with The University of Nevada, Reno School of Medicine's Center for Education and Health Services Outreach and the Children's Justice Act Task Force in Carson City since 2009. Dr. Macleod is a member of the Task Force on the Prevention of Child Sexual Abuse and served on the statewide Task Force on the Prevention of the Sexual Abuse of Children, dedicated to furthering the goals of Erin's Law and meeting the gold standard of child sexual abuse prevention throughout the state. She received a Bachelor of Arts degree in Comparative Literature at Princeton University, followed by her MD degree at Tufts University School of Medicine in Boston. She and her husband Dr. Peter Althausen pursued their respective residency training at the University of California Davis Medical Center in Sacramento where Dr. Macleod also completed fellowships in child abuse pediatrics and primary care outcomes research. She is also the recipient of several awards including the Carmel Scholars Award from the Western Society for Pediatric Research; the Dennis Styne Academic Achievement Award; and outstanding leadership awards from the UC-Davis Medical Center Department of Pediatrics. Dr. Macleod is proud of her Scottish heritage. “I am indeed of Scottish heritage on both sides. My husband's heritage is German, but he tolerates the constant Scottish boasting.” She and her husband and family moved to the Reno area in 2005 but she continues to work as a faculty member in the Department of Pediatrics at UC Davis Medical Center. The Nevada Society of Scottish Clans is a 501(c)3 non-profit organization founded in 1982 that is dedicated to the perpetuation of ancient customs, literature, music, games and dress of Scotland and its people. The Nevada Society of Scottish Clans promotes Scottish heritage through the annual dinner honoring the memory of Scotland's national poet, Robert Burns, sponsors Tartan Day, participates in Reno's Celtic Celebration, a summer picnic, Tartan Miniature Golf, a scholarship program and other activities. 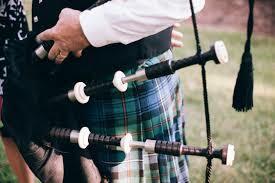 More information about the Nevada Society of Scottish Clans is available on its website at www.nvssc.org.